Walker Sands Communications has published its 2018 State of Marketing Report, for which it surveyed 300 professional marketers. 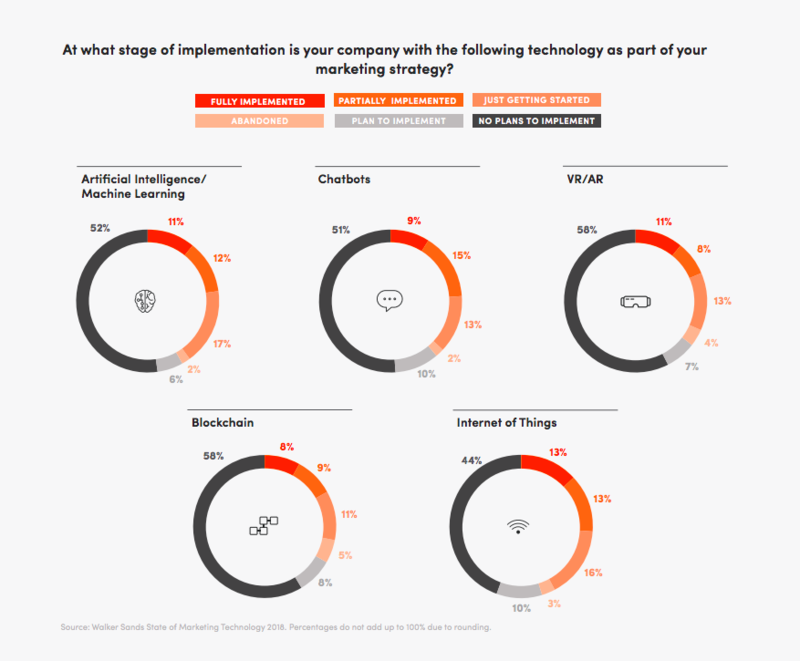 The bottom line of their analysis is that consumers’ demand for personalized and seamless experiences, marketers turn to ever more sophisticated technologies to satisfy this demand. 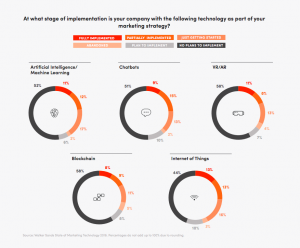 65% of marketers thus say, they will further increase marketing technology budgets and 75% state that their companies add new tools once a year or even more often (48% even say every six months or more often). Interestingly, the survey also touches on the human factor, especially how technology and humans are best integrated. While it did identify a clear trend, that marketing is less driven by only creativity – the share of a creativity/technology mix has remained constant. In that context, the survey also finds that almost 40% of marketers are afraid that their jobs will be threatened at some point in their career.